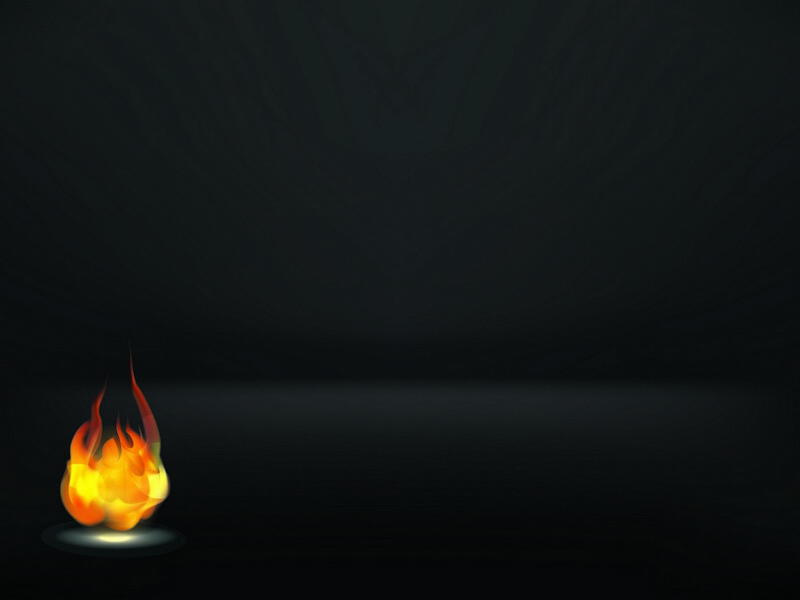 �� A Fire Flame Background Backgrounds for Powerpoint Presentations - And if you also want to use other backgrounds you may check the categories. If the slides have lot of lyrics, the background needed to chosen very carefully. This super useful background can be used on your lyric presentation and lots of pictured presentation. This will save you from using any colour limitations. And you will not be stressed out during the preparation time and ease your presentation. The show will make your composition and project look like more elegant. Since each content has a specific theme, you need to choose the background based on your theme. That is the crucial point; audience won't get bored during your presentation. The good presentation can keep everybody's attention to the topic, instead of loosing them. However, if you like to have an humanistic and warm presentation; using soft and smooth colours and not going into details on the background are what you need to do. What ever you do, has to be fancy. For a project presentation; you should make your framework got people curious and exited. Just one click; you will download it. Which makes it a very useful background. The background for your powerpoint must comply with the presentation that you are going to present. Using the bright colours will make your audience like your slides better, thus this background is for you. This background is very suitable with the fonts and colours of your lyrics, and you will be able to prepare the presentation easily sand fast. If you are choosing this powerpoint background, you will be able to apply each lyric font and colours on it. If your background goes along with the fonts and its colours; the audience will watch the presentation without haven any sight problem. Using red as a lyrics colour will make you take the best advantage of the background. In order to have a good presentation; first thing is to choose an appropriate background to your framework. The harmony of colours and layouts effect the presentation. You may change the lyric colours based on your subjects, switch between the colours in order to have an efficient presentation. .
A Fire Flame Background Powerpoint Backgrounds Freeppt is Powerpoint backgrounds and templates for your slide. Powerpoint A Fire Flame Background design images And if you also want to use other backgrounds you may check the categories. If the slides have lot of lyrics, the background needed to chosen very carefully. This super useful background can be used on your lyric presentation and lots of pictured presentation. This will save you from using any colour limitations. And you will not be stressed out during the preparation time and ease your presentation. The show will make your composition and project look like more elegant. Since each content has a specific theme, you need to choose the background based on your theme. That is the crucial point; audience won't get bored during your presentation. The good presentation can keep everybody's attention to the topic, instead of loosing them. However, if you like to have an humanistic and warm presentation; using soft and smooth colours and not going into details on the background are what you need to do. What ever you do, has to be fancy. For a project presentation; you should make your framework got people curious and exited. Just one click; you will download it. Which makes it a very useful background. The background for your powerpoint must comply with the presentation that you are going to present. Using the bright colours will make your audience like your slides better, thus this background is for you. This background is very suitable with the fonts and colours of your lyrics, and you will be able to prepare the presentation easily sand fast. If you are choosing this powerpoint background, you will be able to apply each lyric font and colours on it. If your background goes along with the fonts and its colours; the audience will watch the presentation without haven any sight problem. Using red as a lyrics colour will make you take the best advantage of the background. In order to have a good presentation; first thing is to choose an appropriate background to your framework. The harmony of colours and layouts effect the presentation. You may change the lyric colours based on your subjects, switch between the colours in order to have an efficient presentation. And if you also want to use other backgrounds you may check the categories. If the slides have lot of lyrics, the background needed to chosen very carefully. This super useful background can be used on your lyric presentation and lots of pictured presentation. This will save you from using any colour limitations. And you will not be stressed out during the preparation time and ease your presentation. The show will make your composition and project look like more elegant. Since each content has a specific theme, you need to choose the background based on your theme. That is the crucial point; audience won't get bored during your presentation. The good presentation can keep everybody's attention to the topic, instead of loosing them. However, if you like to have an humanistic and warm presentation; using soft and smooth colours and not going into details on the background are what you need to do. What ever you do, has to be fancy. For a project presentation; you should make your framework got people curious and exited. Just one click; you will download it. Which makes it a very useful background. The background for your powerpoint must comply with the presentation that you are going to present. Using the bright colours will make your audience like your slides better, thus this background is for you. This background is very suitable with the fonts and colours of your lyrics, and you will be able to prepare the presentation easily sand fast. If you are choosing this powerpoint background, you will be able to apply each lyric font and colours on it. If your background goes along with the fonts and its colours; the audience will watch the presentation without haven any sight problem. Using red as a lyrics colour will make you take the best advantage of the background. In order to have a good presentation; first thing is to choose an appropriate background to your framework. The harmony of colours and layouts effect the presentation. You may change the lyric colours based on your subjects, switch between the colours in order to have an efficient presentation.